The DC Government occupies a unique position, operating under Article One of the US Constitution and the District of Columbia Home Rule Act. These laws delegate certain powers of the US Congress to the Mayor and to a 13-member Council, though Congress still reserves the right to review and overturn laws created by the Council and intervene in local affairs. 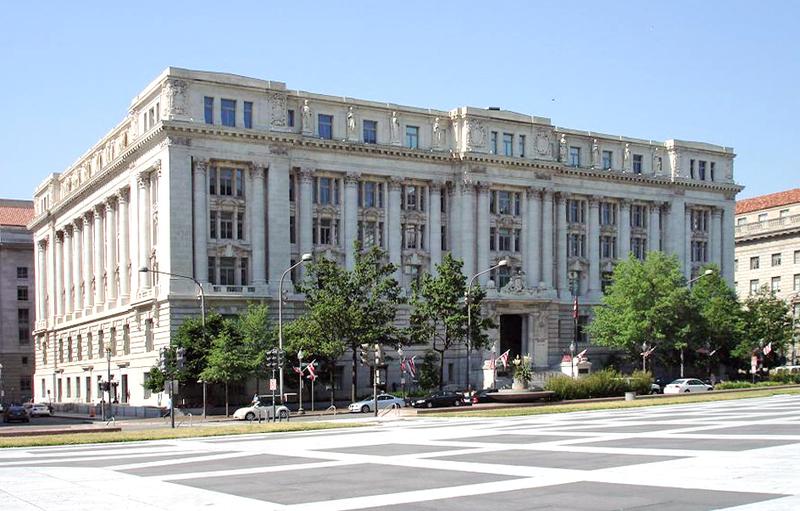 The Council, which operates out of the Wilson Building (pictured below) is made up of eight ward Councilmembers, four at-large Councilmembers and a Chairman. Each ward has a Councilmember specifically designated as their representative; you can find a ward map here, courtesy of the DC Office of Planning. The four at-large Councilmembers are elected by the entirety of the District, as is the Chairman. For information on the DC Councilmembers, including how to get in contact with them, click here. If you want to attend a Council hearing or know when a piece of legislation will be discussed by the Council or one of its committees, we’ve got a calendar of relevant DC legislative events here. Underneath the Mayor and the Council in the city’s governmental hierarchy are the Advisory Neighborhood Commissions, a City-elected Attorney General, the DC Court of Appeals, and numerous government agencies that advocate for everything from the Arts and Humanities to the Water and Sewer Authority.